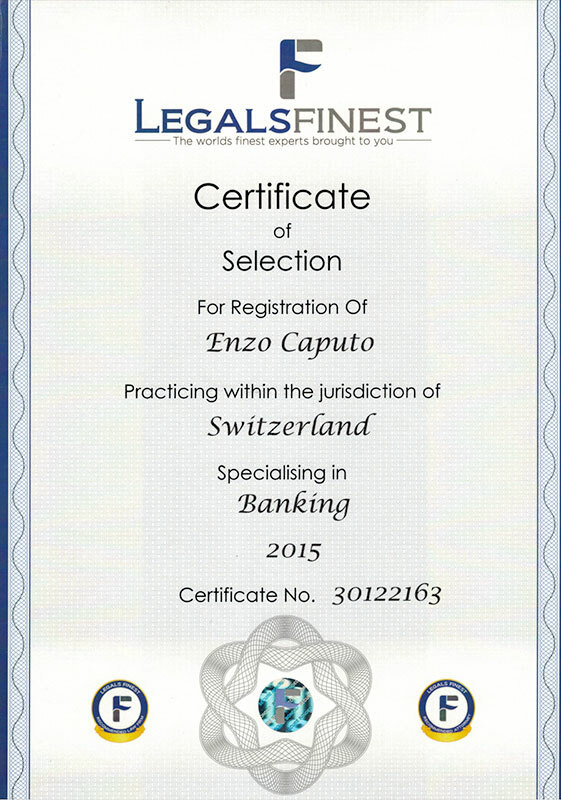 Zurich, Switzerland Enzo Caputo is a very professional and responsive Swiss banking lawyer. He is always available upon request. He has a very impressive portable knowledge. He is practical oriented and very fast in delivering his services. 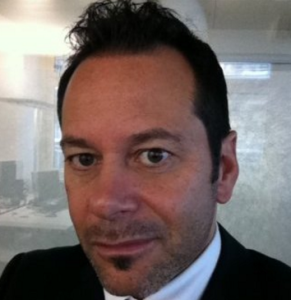 I highly recommend Enzo Caputo to anybody having any issue related to Swiss Banking. Anonymous client Enzo Caputo has delivered high quality work and quick results in a case involving my mother. My mother has been guided beyond legal issues directly to a successful meeting with the decision makers of the bank in Zurich. Hes practical banking knowledge has delivered fast results. He is a banking lawyer with decades of professional experience collected inside the Swiss banks. He knows the tricks and pitfalls from inside the Swiss banks. He acted as head of the legal and compliance departments in several prime Swiss banks. Hes intimate and practical knowledge makes him outperforming in the negotiations with the banks. I would never replace him with an other lawyer. He is an insider of the Swiss private banking industry. 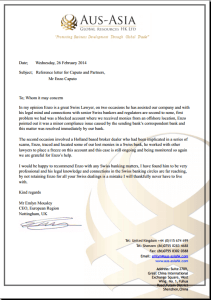 Anonymous client I would be happy to recommend Enzo with any Swiss banking matters, I have found him to be very professional and his legal knowledge and connections in the Swiss banking circles are far reaching, by not retaining Enzo for all your Swiss dealings is a mistake. I will thankfully never have to live with. Nivia Maeva Trinidade Thank you so very much mr. Caputo! I will be forever greatful to you! I will make the payment as soon as possible. You are a very important person for me, and even I this matter is settled I will someday come and visit you personally just to say how grate I am! Best regards!I will send you a email when transfer done.Enjoy summer over there, I quite envy you lol lol, cold and raining here in the south hemisphere! Phuket, Thailand I am Italian. I am living in Thailand since eight years. I wrote my case history upon specific request of Mr Caputo to do so. 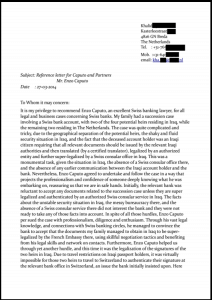 Mr. Caputo told me that my case is a typical example for many other clients. They feel sometimes something can be wrong but not exactly what is wrong. I called Mr Caputo on his mobile phone asking him to come with me to the meeting with my bank. I wanted a banking lawyer sitting on my side when asking clarifications from the bank. I was not sure if the bank did everything in the right way. I had a bad feeling without knowing exactly if the bank made a mistake. I was not happy with the management of my account. The banker was always absent and occupied with meeting with other clients and he was often not available when I asked him to support me. Maybe my account was too small? I simply wanted to verify if the bank did their job correctly and in a fair way and therefore I wanted to have a professional with me during the meeting with the bank. Mr Caputo fixed the meeting with the bank in Zurich. He checked all transactions. Everything was fine. At the end Mr Caputo checked all forms in connection with my client profile. He remarked that apparently in the banking file I was still declared as having domicile in Italy despite the fact that I am living in Thailand since eight years. Based on the Italian domicile the bank enacted the EU-Directive on Taxation of Savings by collecting a withholding tax on the interests received. I have informed the bank eight years ago that I am living in Thailand but the bank was negligent and did not up-dated the client profile form. Due to the intervention of Mr Caputo the bank was obliged to compensate me by paying back the unjustified taxation on my interest payments on my savings for the past eight years. He claimed back an amount ranging between EUR 15’000 to EUR 30’000 for each of the last eight years! We went to the bank for a simple clarification and we detected that I was still taxed as an Italian resident because the bank failed to update the client profile form registering me as a resident in Thailand. The EU Directive on Taxation of Savings is applicable to residents in the European Union only – not to residents in Thailand. I was very happy with this result and I invited Mr Caputo to make holidays in Thailand for a week. Italy Grazie infinite per aver risolto il mio problema in così poco tempo. Vorrei solo dire che il vostro Studio mi ha fornito un incredibile supporto. Sono davvero ammirato per la competenza e l’affidabilità che mi avete dimostrato (cosa molto rara nel mondo degli affari oggi). A. A. Bahamas Hello Mr Caputo! This morning XY Banque contacted me and said my frozen bank accounts are working again and I can continue using online banking. I checked and it’s working. I am so happy to have access to my money again. I would like to thank you once again for all your work and cooperation for having unblocked my accounts in such a short period. Since the beginning I was convinced to have engaged the right lawyer – I was right. You are welcome to visit us in the Bahamas at any time! I will wait for Mr T. to open a new bank account for me and I will transfer the funds there. Have a great weekend and we will keep in touch! 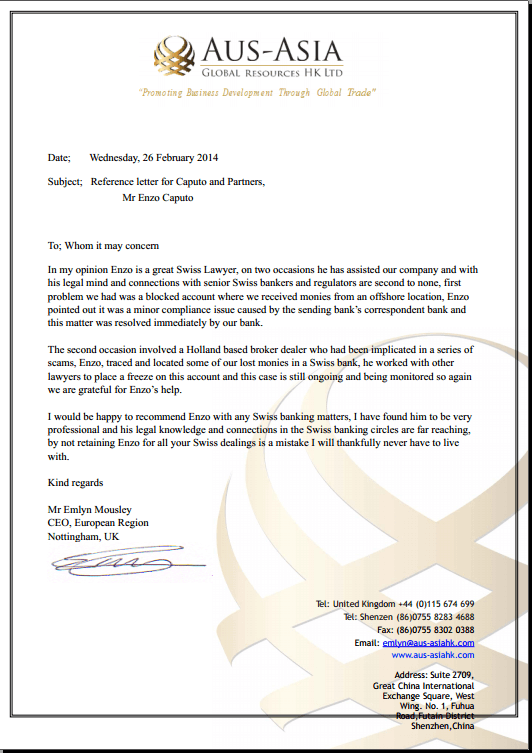 Further testimonials are available upon request – in any case we always respect the privacy of our clients.